When you are travelling in Cambodia you will get in touch with Kreung very early. 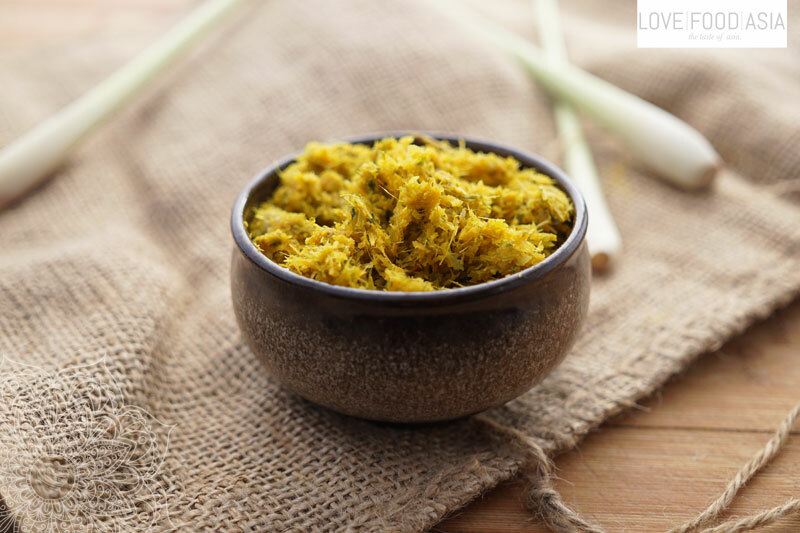 This lemongrass paste is the heart of many Khmer dishes. The smell of lemongrass, galangal and lime leaves come to your nose in every Khmer kitchen. It is absolutely worth it to make this paste one your own. The airtight covered paste will keep fresh in the fridge for some weeks and you will taste the difference between this homemade Kreung and the one you can buy in a supermarket. Soak chilis in enough water for 2 hours. Drain water and chop into small pieces. Transfer lemongrass, lime leaves, and galangal into a food processor. Mix for 1 minute. Add chili and mix for 30 more seconds. Finally, add shallots and garlic and continue to mix for 1 more minute. Store fresh lemongrass paste in an air tight jar, and store it in the fridge. It keeps fresh for at least 2 weeks.